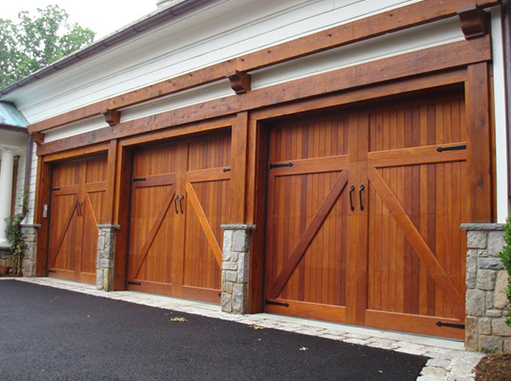 Are you looking to replace your home or business’s old garage door? You have come to the right place. Replacing your garage door can be very costly but it is worth it to replace a very aged garage door that is falling apart. Garage Door Repair Hallandale FL is a trusted and experienced company that provides high quality garage door installation services for both residential and commercial customers. Our team is very well trained and qualified. We guarantee you will be pleased with our excellent garage door service. We have the right tools and skillset to replace your garage door for you. Garage Door Hallandale FL has affordable deals and specials that make us the best choice for you. You can get service within the same day when you call! To schedule a technician to come, please call us at (305) 407-1659. Garage door springs are a necessary part of the garage door’s system. They have a very long lifespan. Be that as it may, after some time, it gets affected by all the hard work it needs to go through. The metal could get worn out which results in the spring breaking. There are two kinds of garage door springs. There is the torsion spring which is mounted on top of the door opening. These types of springs are recommended for double doors and heavier doors. Torsion springs are very sturdy and have a longer lifespan. They give the garage door a smooth movement. These springs have a winding motion. There is also the extension spring. This spring system is mounted above the tracks unlike the torsion spring. Extension springs are generally more common and cheap. These springs stretch instead of wind. If the springs make some noise, you may not have to replace your springs entirely. To maintain them, we recommend lubricating them with metal lubricant. This helps the noise of movement and extends their lives.